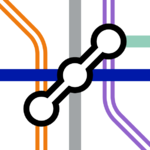 It's interesting how little they say about splitting the Northern line - only that "there are currently no plans to split the Northern line into two different lines." In this document from 2015 TfL talk of plans to "deliver a fully separated Northern line offering between 33 and 36tph by April 2023" - but dependent on the Camden Town upgrade. No great shock when TfL have cancelled the next stage of the major line upgrade and procurement of the extra trains / depot works / extra sidings. You can't split the service without the extra infrastructure and rolling stock. It will be at least a decade, probably longer, before those ideas return - assuming Camden Town station is redeveloped. Good. A split at Camden would be a bad idea, making a mockery of the complex work undertaken in the first place to link the two lines. Surely it is not beyond the ability of technology to deliver a line with such a junction that can run ~32tph on all branches. possible when thighs run to plan. Although Camden is a grade separated junction, there is no way it could handle 32 tph with trains going to / coming from alternate branches. The trains would have to arrive at the junction precisely in sync with those on the other branch. Even the tiniest hold up would cause chronic delays because with a 32 tph service there would be no slack in the timetable. Well a split Northern line would at least remove half the hilarity of watching thoroughly confused tourists. Is the Camden Town station reworking really a precursor to splitting the northern line services or just incidental? If we briefly ignore the potential line split, the valid question is then whether or not the current Camden Town station platform infrastructure really contributes to enhanced dwell time - ie do the platforms and cross platform tunnels create a service bottleneck rather than the actual junction and related signalling and point-work? I am not aware of any evidence to suggest the current PLATFORMS at Camden Town are causing any greater delay than arises at an equivalently busy platform elsewhere on the line. Over many, many trips on the line, I think the "delays" are more correctly associated with in tunnel delays at the junction with trains basically waiting for the onward route to be available. I accept it would definitely help the passenger experience if the cross platform tunnels were enlarged. Especially if it allows more space for people to get past the usual crowd of passengers clogging up the link passage whilst they watch the "next train" screens to determine what platform to go to for the next southbound service on whatever route they are wish to travel on. However if you just split the line without upgrading the cross platform capacity, you are basically exchanging a minor jam up of people lurking by the "next train" screens, for a far worse crowd management problem as presumably the arrival of pretty much every southbound and northbound service will trigger a mass exodus to the other platform by all the people no longer able to choose a direct service. Currently I suspect a lot of people do their "route lurking" at stations all along the route. Certainly I and many others are happy to wait for a direct train provided it is only a few minutes behind, rather than faced the hassle of changing at Camden Town. If however the lines are completely split, then you pretty much guarantee chaotic scenes at Camden Town with all platforms having to handle large numbers of passengers trying to alight and equally large numbers trying to board. That risk seems more than likely to push up platform dwell times significantly and may totally offset any potential frequency gains that might be attributed to operating the Northern as two separate lines. In short there is an unspoken trade off is between increasing service frequency which enhances line capacity, and passengers losing the convenience of having direct trains on two central london routes without a need to change trains. Assuming passenger flows from the Edgware and High Barnet branches onto the two central london routes are roughly similar, then simply splitting the line will upset a lot of commuters, especially those commuting from the extremities of the line who currently enjoy a seat for whichever central route they want, at least for their into town journey. Inherently I think the current Northern service pattern through Camden Town is close to optimal and splitting the line could be a really bad move. It's not a precursor, it's a requirement. That they can justify the redevelopment while saying they aren't planning to split the line means it is being done just for the crowds with the current services. Camden Town station is in dire need of an upgrade as it regularly has to close. To increase capacity to meet future usage is a must and whilst you upgrade with more escalators, lifts and exits/entrances you may as well create additional passageways to allow more interchanges. Splitting the line will provide 12 tph in each direction through central London with 30tph on both branches, 24 tph more if they eventually go to 36tph on both branches which is probably the plan considering they are upgrading Bank to handle more capacity and will have a desire to have the extension served with a decent frequency. 24tph is the equivalent of an additional tube line through central London and considering the costs of Crossrail using the existing infrastructure must provide a vastly better business case. Currently Camden Town is an incredibly complex junction with (I believe ) 8 sets of points . None of these would be required with a segregated service that would save huge amounts of maintenance and costs and there wouldn't be any conflicting movements or trains waiting to depart. This would reduce journey times probably quite considerably and the increase in capacity cannot be ignored. 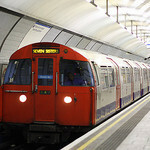 This type of split has occurred to an extent before with the Jubilee taking the Stanmore branch of the Bakerloo requiring people to change at Baker Street to make the same journey though central London. 30tph would never be possible on the Stanmore branch today with the old Bakerloo service. Surely the Northern has to eventually be split. Camden Town needs to be redeveloped and expanded if the Northern line is to be split, but it also needs to be redeveloped expanded if the line is not split. The additional expansion needed for a split service over what is needed for the present service is a fraction of the total cost when done now and doing it later would be more expensive and more disruptive so it makes no sense not to do it all now.